On Monday the 13th of June 2011 I met Carrie Herbert, founder and chief executive of the Red Balloon Learner Centre Group. Red Balloon learner centres are places where children can obtain an education instead of in schools. Fundraising for the centres focuses on their role in providing children who’ve been bullied at schools a place other than school where they can be taught. Cambridge’s centre, on Walkworth Street (by Parkside Police Station), has places for fifteen children. I first really engaged with Red Balloon when in July 2007 I was asked to advise them on their online presence, particularly considering the potential of online fundraising. I, through my company, spent a couple of days working free of charge reviewing what they were doing and making suggestions for the the future. When presenting the report to the organisation I outlined a number of ways in which I’d personally be prepared to volunteer to help them out. I’d prefer to see the public money being spent to tackle the problem of bullying in schools, rather than dealing with the consequences of the schools failing. One of the things I had suggested was considering what role the organisation could play in campaigning to remove the underlying problems at schools. I suggested the organisation could achieve something in this area via its website by being clearer about the niche it fills, and that while it’s focus isn’t on campaigning it could do more to work with those who are engaged in such campaigns. Wouldn’t public money be better spent within schools? Shouldn’t it be the bully not those being bullied who end up being educated elsewhere? Why do you have so many statemented children, doesn’t this indicate this organisation is not dealing with just those who are victims of bullying but those with other problems too? While a lot of the things I proposed in 2007 have been taken-up (though I have no idea what, to any degree my input was related to this), the only direct feedback I obtained was a phone call from Carrie Herbert in which she justified what the organisation did by saying they primarily work with children with learning difficulties suggesting that the bullying element, if present at all, is secondary. Two years later, in 2009, Cllr Russ McPherson was elected Mayor of Cambridge and made Red Balloon one of the charities he would use his office to fundraise for during the year. I drew attention to the fact one of the aims of those running the Cambridge centre was to buy the house the school runs in outright. At that point I repeated my view that the focus ought be on improving schools and preventing the problem. I have commented when the organisation asked, via Twitter, for Julian Huppert to talk to them about meeting the Children’s minister, and when Mr Huppert was made patron of the organisation. My invitation to meet Carrie Herbert came about as a result of my tweeting links to my views while an open gardens event was being held at the Cambridge centre over the weekend. 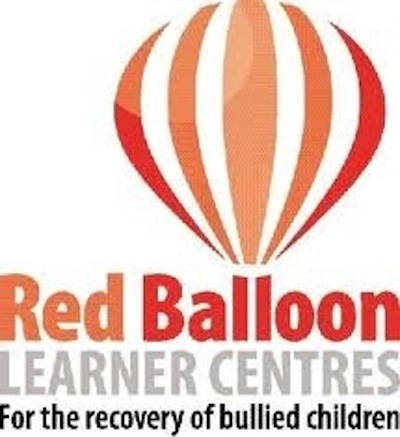 As I have mentioned Cambridge MP Julian Huppert has become the patron of the Red Balloon Learner Centre Group. Carrie Herbert told me the group’s main aim in making this appointment was to assist them in seeking a change in the law which would see the group able to obtain more public money. She told me that those who cannot cope / be accommodated in mainstream schools, due to bad behaviour, criminality (being a danger to other pupils), health reasons, or learning difficulties get substantial extra sums of public money spent on them for education at places other than school. What Carrie Herbert and her organisation would like to see is public money made available in a similar manner for those who are not attending school due to bullying so that they too get access to education. Specifically she is looking at the Green Paper titled Support and aspiration: A new approach to special educational needs and disability, published in March 2011 on which a consultation is running until 30 June. Currently the proposals, which include parents getting to make the decision on where funding for their child’s education is spent, only cover pupils with special educational needs and disabilities. As they stand the proposals do not cover children with temporary health problems, including mental health problems associated with bullying. I fully agree with Red Balloon’s stance that those with, for example, serious anxiety problems which mean they are absolutely unable to attend schools (whatever the causative factors) ought have as much access to help obtaining an education as those with other health problems. The proposals in the green paper don’t ignore mental health entirely but I think they ought write the definition in a more encompassing manner. I wonder if their appointment of Mr Huppert as patron might hinder his ability to lobby for the suggested change though and if his role as patron gives him a conflict of interest. Red Balloon pays for a “social media consultant” who is responsible for their organisation’s profile on various websites, including Carrie Herbert thought the @RedBalloonLCG Twitter account. Carrie Herbert said she was sceptical about the spending on a social media consultant, but that it was something her board members had been very keen on throwing money at. Providing social media consultancy services to Red Balloon and managing the charity’s online presence and marketing and growing this audience in line with the number of centres coming on stream. My view is that social media consultants aren’t needed any more in a world where an ever increasing number of people are able to write their own tweets, and their own facebook updates. I also think that a personal online presence for key figures, is needed alongside corporate accounts. Mr Quinn has previously served as a director of the Red Balloon Learner Centre Group. I think councillors, donors, and those privately paying fees to the centres should be aware of how money is being spent. Carrie Herbert told me that the Red Balloon Centre in Cambridge is taking students who are “statemented” ie. have been recognised to have learning difficulties, or for other reasons attract high levels of public funding. Carrie Herbert described taking these students as a commercial economic necessity, and also required to keep a good relationship with Cambridgeshire County Council. While bullying is a factor in all cases, Carrie Herbert said she would like to be able to focus on those children who did not have learning difficulties or health problems, and whose only problem was that are were being bullied. I was told that the Cambridge centre currently had eight pupils with statements of special educational needs. This is a more informative, and more up-to-date, insight into the issue which I was attempting to get to grips with in 2007. There is some substance to what I was drawing attention to; the Red Balloon centres are not free to focus on what they’d really like to be doing, and what they tell their donors that they’re doing. There is a financial motivation on both the County Council and the Red Balloon sides for children with problems which are primarily not related to bullying becoming pupils at the centre. I questioned the use of public money to purchase the freehold of the Red Balloon Centre at Warkworth Terrace. My view being that public money should not be being spent on an asset which is not under public control and in which the public do not retain the share they have purchased. Carrie Herbert answered this by equating a mortgage on the property to rent (something I disagreed with). She defended the need for a city centre, residential, property as those attending the centre would not be able to cope with a traditional institutional environment, such as a facility within a school. Carrie Herbert told me that her organisation only takes those who have been out of school for an extended period of time. They are not an escape route from mainstream school, they are helping those who have already left to get back into some form of education. I think this is an important safeguard to ensure children are not taken out of mainstream school unnecessarily. Carrie Herbert suggested that the increase in home education was due to parents with children who refuse to go to school, perhaps because they’re being bullied, and parents opt to say they are home educating in order to get the education authorities off their back to a degree so they can avoid court for not sending their children to school. Carrie Herbert said that she was focusing on dealing with the symptoms of problems within mainstream schools, and that she had fallen into doing that, rather than lobbying to improve the mainstream schools. I was told that Cambridgeshire County Council see the Red Balloon learner centre as a much cheap option (at about £18,000 / year / pupil it’s half the cost of some other options for education other than at school used for disruptive students for example), they prefer to get children accepted there than elsewhere. Red Balloon has recently published the results of a survey they part funded into the prevalence of children being absent from school due to bullying. Those being educated at home were surveyed, and 43.8% of parents electing to home educate their children cited bullying as a one of factor in their decision, and 18.4% saying it was the main reason for home educating. Something I raised in 2007 and discussed again when I met Carrie Herbert was the impact on those educated in Red Balloon centres and the effect of that on employment / higher education prospects. I was concerned that by publicising case studies about identifiable children the decision of if to publicise the fact they attended the centre was not being left for individuals themselves to make when they reached an age, and ability, to make that choice for themselves. One thing we discussed, and something I think ought be done is society as a whole holding school governors to account (particularly local authority governors) when schools fail to provide their pupils with an environment where they can get an education. There needs to be much more openness and governors ought be ensuring, on our behalf, that schools are serving all their pupils and we don’t have children going without an education. One problem we have in Cambridgeshire is the mechanism for appointing local authority governors, (the cabinet member for schools appoints them), and I think generally schools are too disconnected from the rest of society. Something which I think has got worse in recent years. This entry was tagged Education on June 14, 2011 by Richard Taylor. @ShonaFJ Did Red Balloon say while they deal with bullied kids @CambCC pays more for those with learning problems so they like taking them? I have pointed out either she, or Carrie Herbert are lying, asked Cambridgeshire County Council to clarify the position and asked Cllr Johnstone to apologise for suggesting I had lied.